Grade 5. 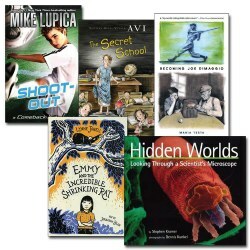 Whether exploring places unknown, discovering strange creatures, or reaching the outer recesses of space, these high-interest books will keep readers engaged as they build comprehension skills. 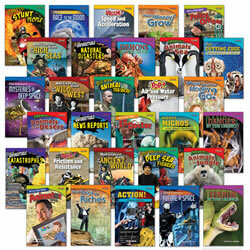 Featuring quality TIME FOR KIDS® , these colorful books align with all State and National standards and include informational text with mathematics, science, and social studies themes. Readers have 64 pages each. 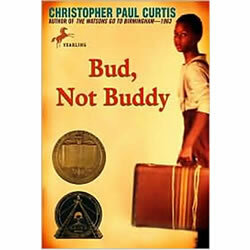 Ten-year-old Bud, a motherless boy living in Flint, Michigan, during the Great Depression, escapes a bad foster home and sets out in search of the man he believes to be his father, the renowned bandleader, H.E. Calloway of Grand Rapids. Grades 3 - 5. Levels W-Y. History is more than just dates and facts. Real people lived through it and wrote about it. 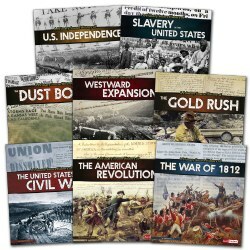 Gain a whole new understanding of major events in U.S. history through the power of primary sources. 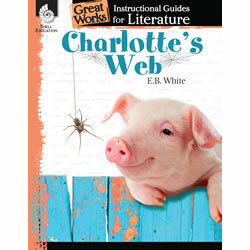 Includes quotations and reproductions from many types of primary sources. Meets Common Core State Standards for analyzing multiple accounts of an event. Grades 3 - 6. Levels R-Z. 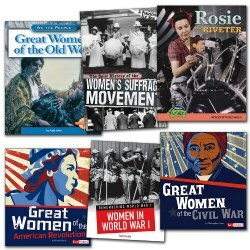 Dive into the expansive history of notable women and women's roles in the American Revolution, Old West, Civil War, World War I, World War II, and the women's suffrage movement. Learn about the efforts of these brave women, and open your eyes to the impact women made in U.S. history. 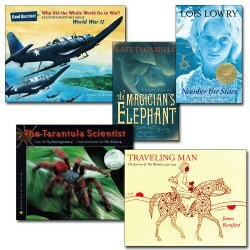 Multiple perspectives and primary sources lend to the development of critical thinking skills. Grades 3 - 7. 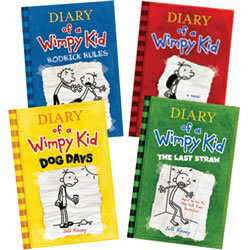 Decide how your favorite stories turn out with these interactive chapter books! 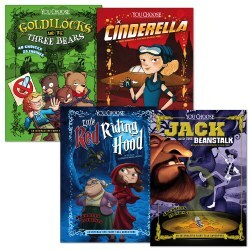 You make decisions throughout the book and help decide the outcome. 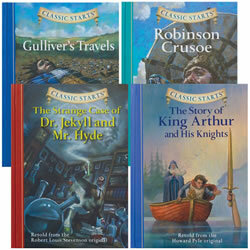 These classic stories will take on a whole new life! 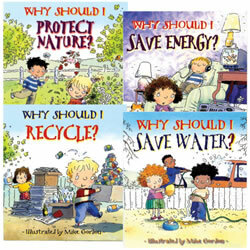 Set of 4 books. Grades 3 - 5. 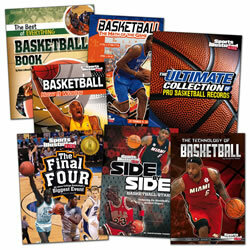 Engage your basketball fans with these fantastic collections from Sports Illustrated. 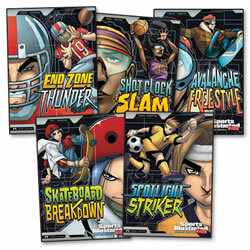 Each set has 7 books filled with engaging text and the stunning photographs Sports Illustrated is known for! Grades 3 - 5. 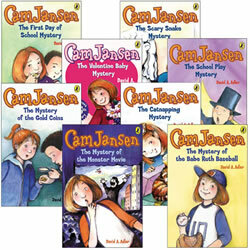 Cam Jansen books are perfect for young readers who are making the transition to chapter books. Each story has a foreshadow event with simple clues and all follow with a satisfying ending as told through the eyes of Cam the spunky young heroine who is able to solve them all. 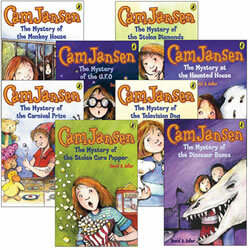 Readers have loved these stories for over two decades and old fans and new readers will love Cam's cool, new modern look. 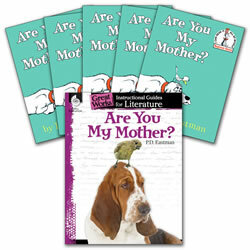 Set includes eight (8),64-page paperbacks. 9 - 12 years. 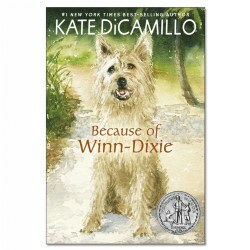 A heartwarming tale of a young girl whose life is changed by a scruffy pooch she names Winn-Dixie. 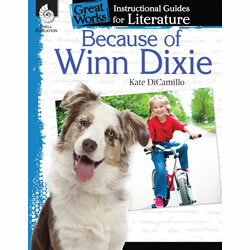 The special bond between them works magic on her reserved dad and the eccentric townspeople they meet during one unforgettable summer. Paperback. 288 pages.